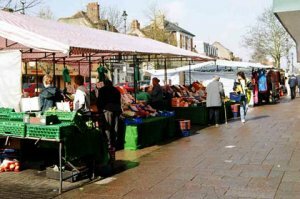 Markets on the High Street and the issue of pavement licenses are controlled by the Berkhamsted Market Fund. The Wednesday and Saturday Market organiser is Mike Smith, who can be contacted on 07795 107663. A Farmers Market is held on the third Sunday of each month. The Farmers Market organiser is Ian Rogers, who can be contacted on 07778 706179. For more information visit the website for Berkhamsted Town Hall.